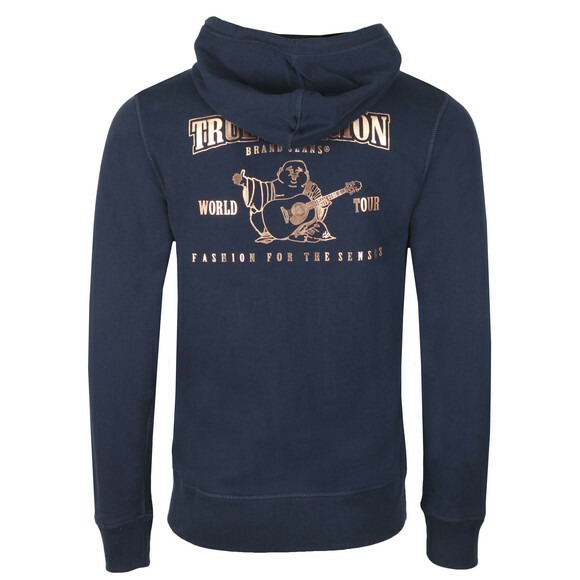 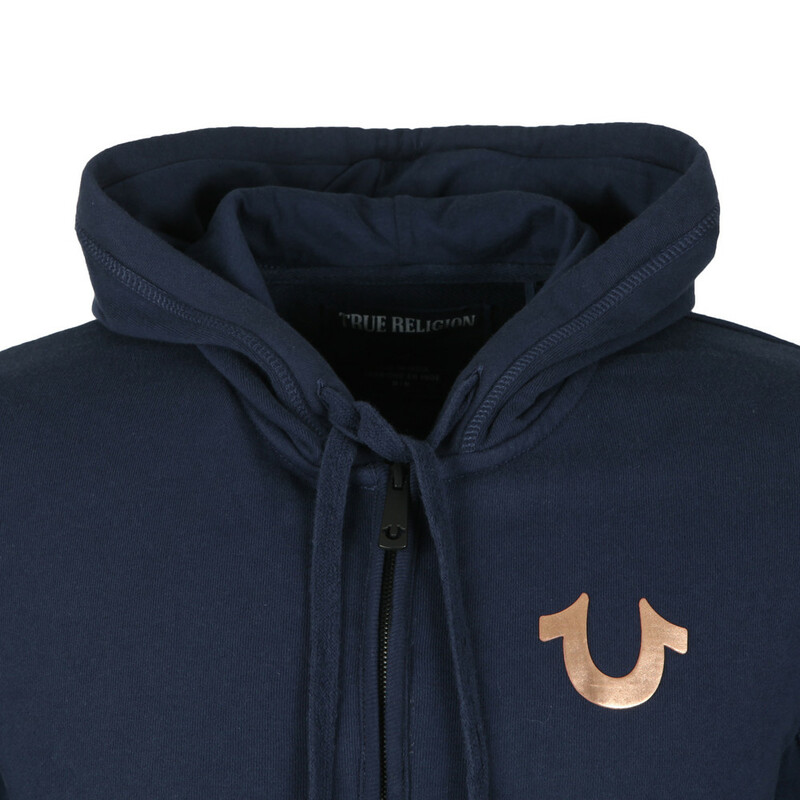 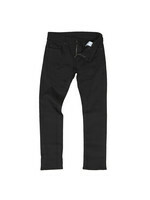 True Religion Metallic Double Puff Hoodie in Navy. 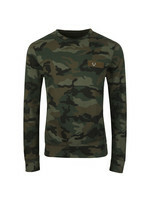 Includes a full front zip fastening, two open handwarmer pockets and a contrast drawstring hood. 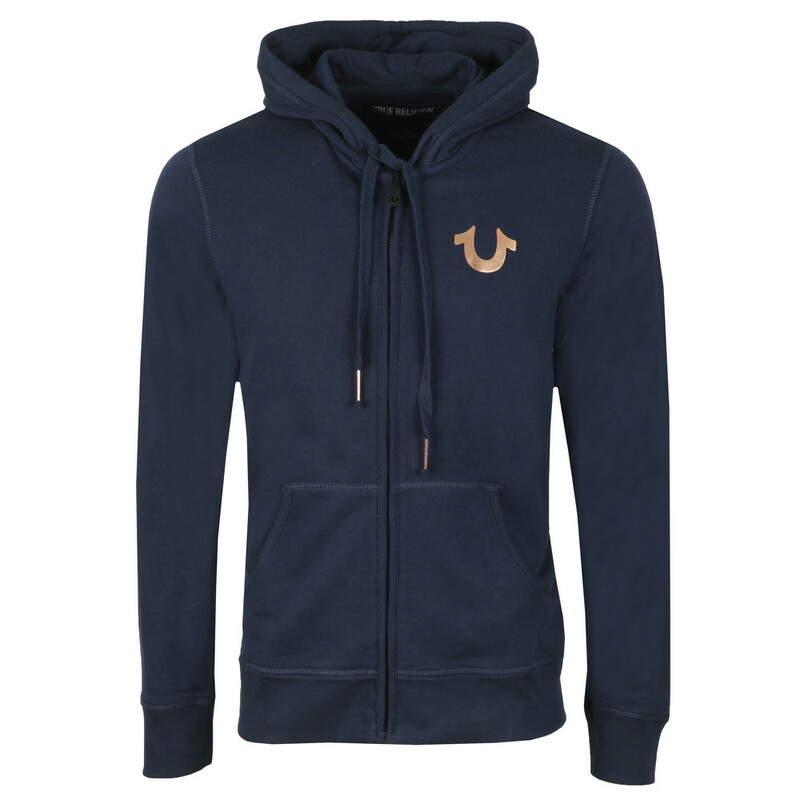 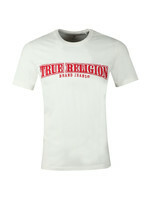 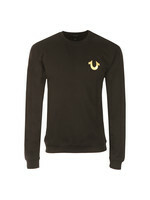 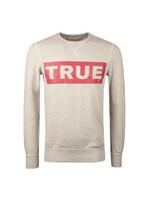 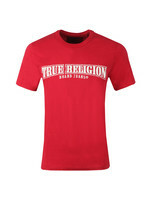 Completed with the True Religion iconic Horse shoe logo printed to the chest.